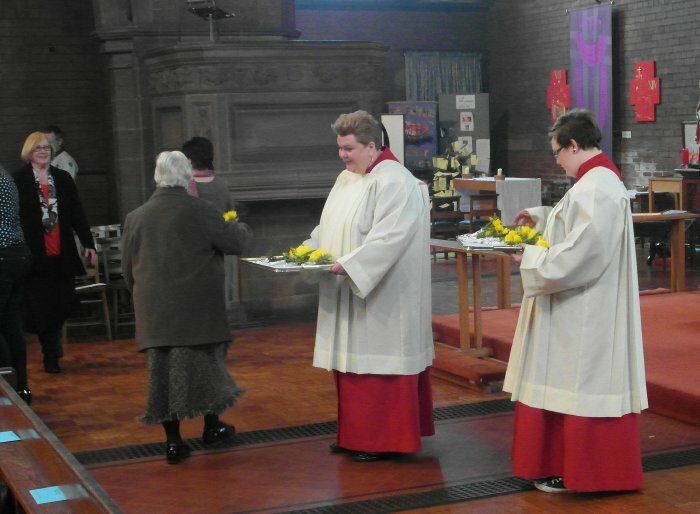 Half way through Lent, there is a traditional pause for reflection and recreational on Mothering Sunday. 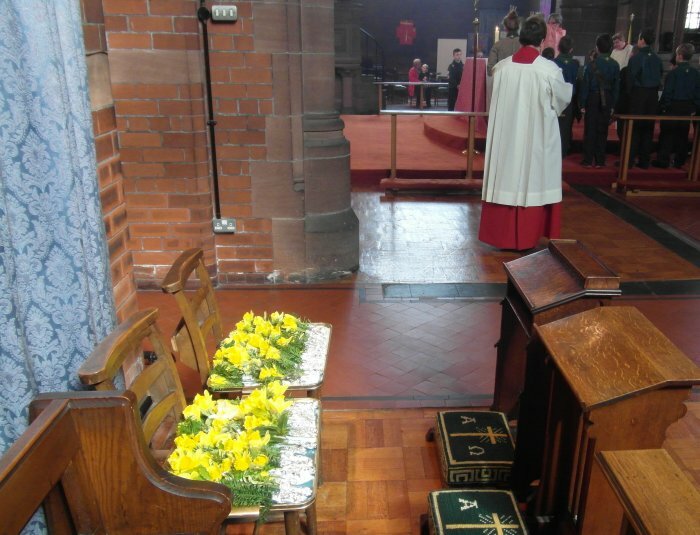 whether that of our human mothers, Mary the mother of Jesus, or our Mother Church. 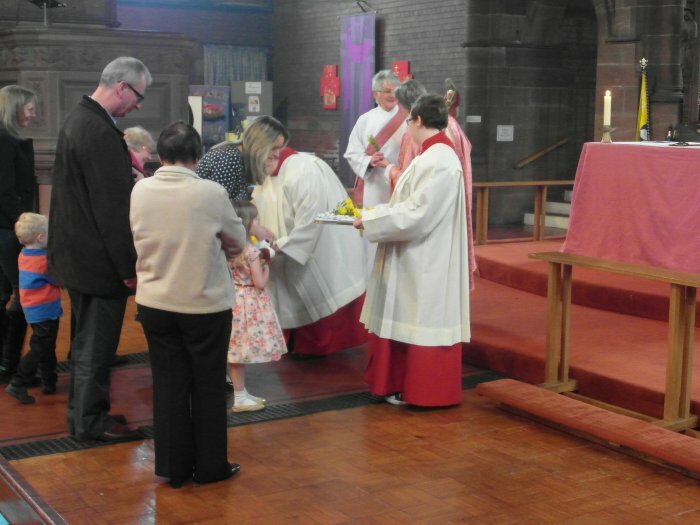 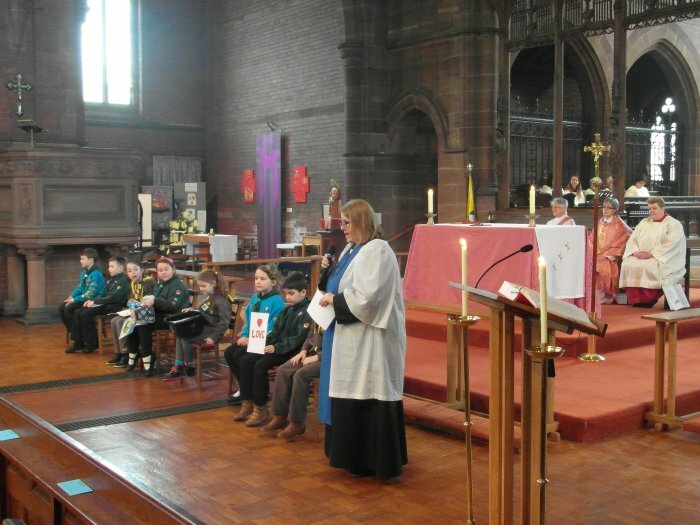 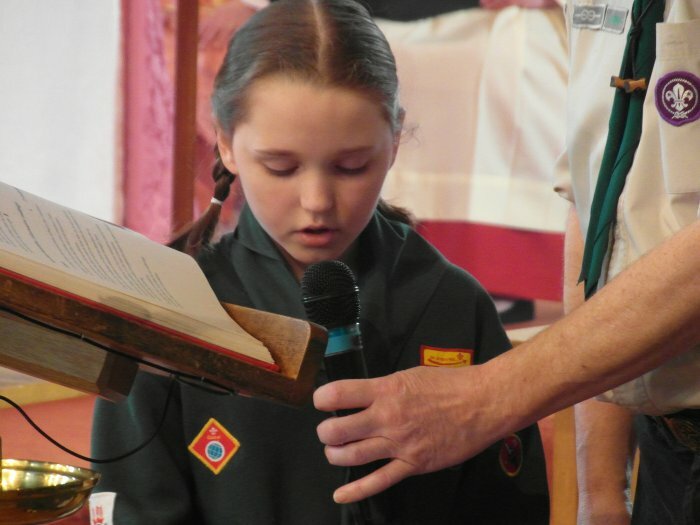 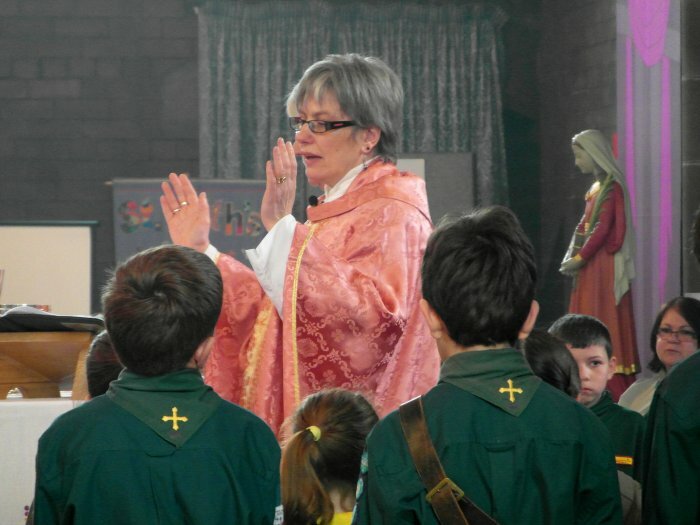 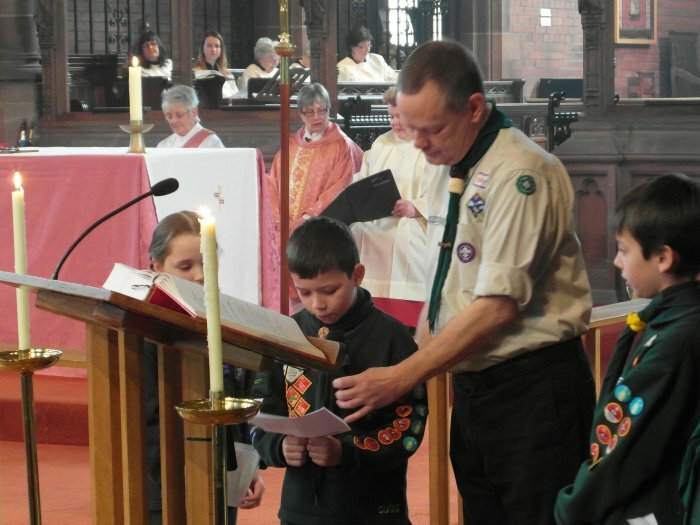 At St Faith's, the joyful day (a Laetare, or rejoicing, Sunday) was marked by pink vestments, children on Parade and the giving of flowers to mothers and others. 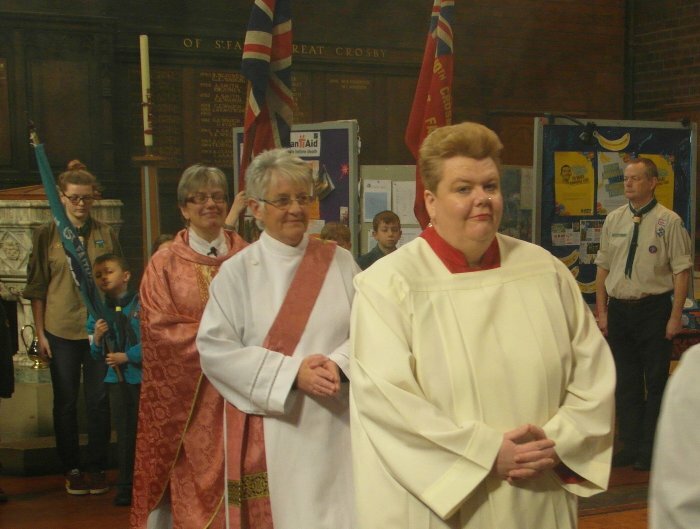 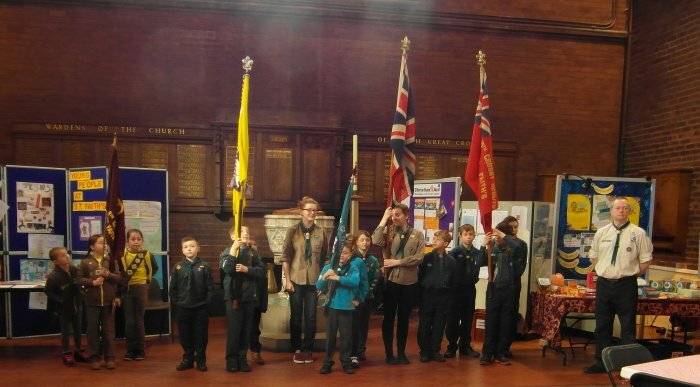 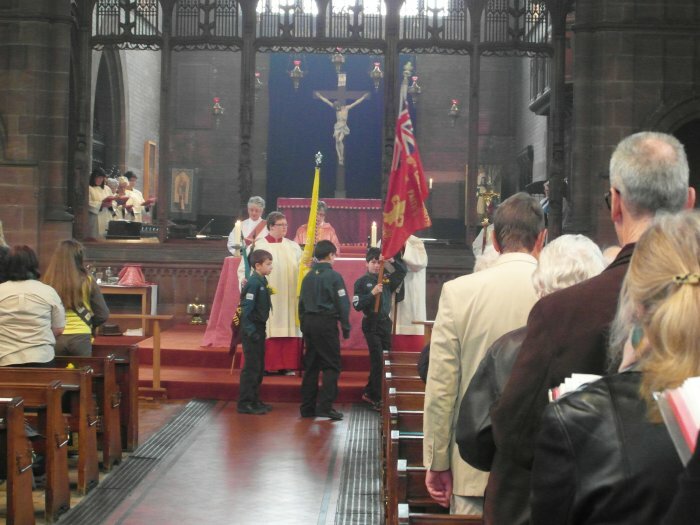 Our gallery shows the flag-bearers representing the uniformed organisations, ready to carry up their flags and banners once the procession had entered church. 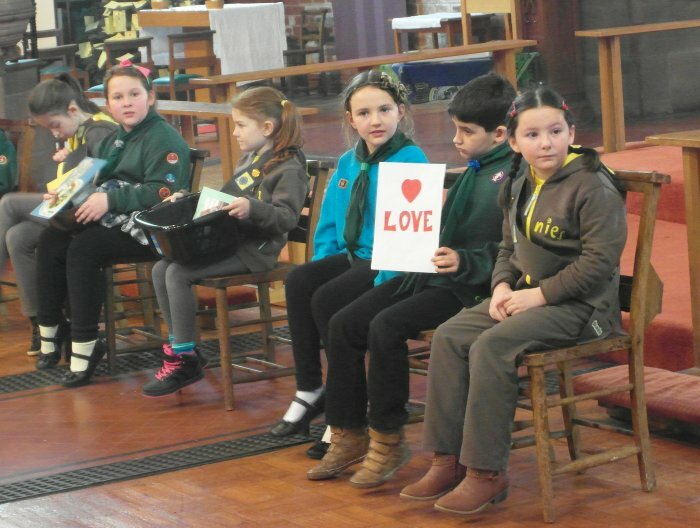 After the ceremonial reading of the Gospel, Reader Jackie Parry invited volunteers to act out the message of her sermon - love human and divine - at the front. 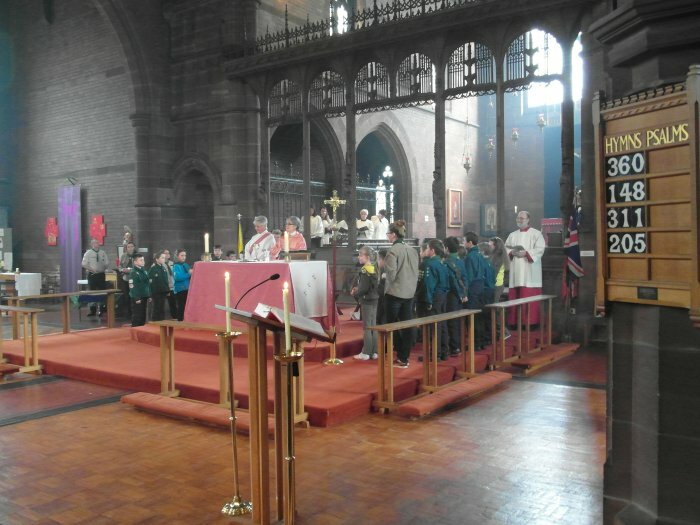 and then, at Mother Sue's invitation, they trooped up to surround the Nave altar for the consecration prayer. 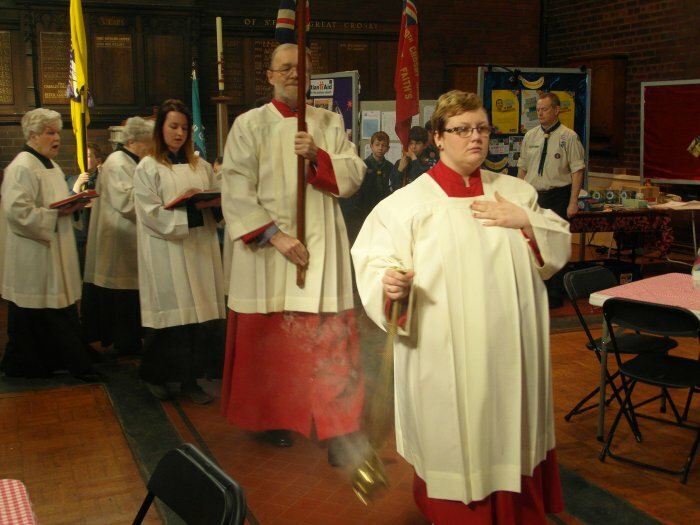 for mothers present, absent and past, before the flag-bearers, banners restored, led out the procesions to the back of church. 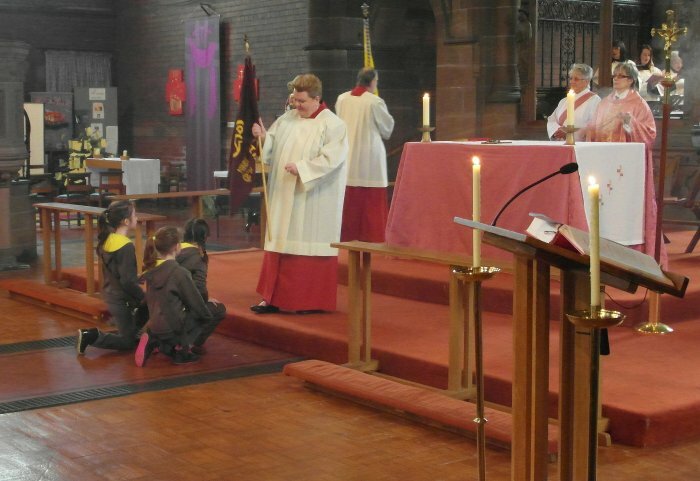 and, in the hall, the raising of a glass to mark the milestone birthday of crucifer Gareth Griffiths. 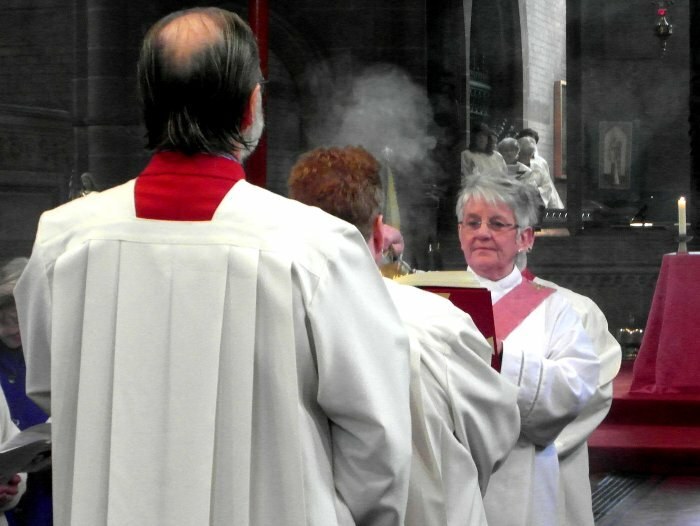 In short, a happy and holy time was had by all.